The widely acclaimed 2010 South Korean film getting a Blu-ray release next month has been fully detailed. 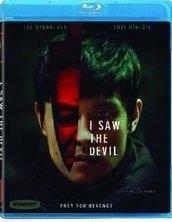 As previously reported, Magnolia has revealed 'I Saw the Devil' is coming to Blu-ray on May 10. The crime thriller from director Ji-woon Kim ('The Good, the Bad, and the Weird') is about a secret agent who tracks the serial killer who murdered his fiancée. The Blu-ray will feature 1080p video, a DTS-HD Master Audio 5.1 soundtrack, and supplements include HDNet: A Look at I Saw the Devil and deleted scenes. You can find the latest specs for 'I Saw the Devil' linked from our Blu-ray Release Schedule, where it's indexed under May 10.